There seems to be a lot of confusion about the case of Troy Davis, the Georgia man convicted of killing off-duty police officer Mark MacPhail in 1989. Davis received a death sentence, which was carried out late on the night of September 21, after the Supreme Court denied a stay of execution. Many are convinced of his guilt or innocence, but those unfamiliar with the case find themselves trying to gain any footing in a propaganda slipstream, inundated from all sides by conflicting accounts and contradictory “facts”. Ann Coulter tells us there were “dozens of witnesses” to the shooting of MacPhail (as shown below, there were about a dozen eyewitnesses), and that “Several eyewitnesses, both acquaintances and strangers, specifically identified Davis as the one who shot Officer MacPhail” (only one eyewitness was acquainted with the suspects, and he named Sylvester Coles as the killer). Ed Pilkington of The Guardian informs us the jury was “shown no physical evidence” against Troy Davis (though most of the physical evidence can’t be tied to Davis, it was presented at trial). Unfortunately, even many of the news reports, blogs and websites that attempted to stay neutral in reporting this event have left us with a jumble of mixed information: Some accurate, some questionable, some flat-out wrong. And documents that could make the picture much clearer, such as the trial transcript, are not readily available (to date, I have not even been able to ascertain some basic details, like Davis’s exact height/weight at the time of the murder). Just what are the facts in the Davis case? Was he, as he and his supporters contended, a falsely convicted man? Did most of the key witnesses at Davis’s 1991 trial (7 out of 9 is the number most commonly given) really recant their testimony? Has the ballistics evidence presented at his trial since been discredited? Did Troy Davis deserve a new trial? 1. There were only two viable suspects in the murder of Mark MacPhail. One of them was treated like a suspect, and the other was treated like a witness. 2. Physical evidence in the case does not point unequivocally to either suspect. 3. If Troy Davis had been granted a new trial, it is highly unlikely the state could have obtained a conviction. In 1989, Troy Davis was 20, unemployed, and living in his mother’s brick house on Sylvester Drive in the Cloverdale section of Savannah. Cloverdale is almost universally described in news stories of the time as a “mostly black, middle-class” area of the city, a tidy and quiet neighbourhood. But Davis hung out in rougher areas, and like some of his friends was known to carry a gun. In July 1988, he pled guilty to carrying a concealed weapon (a charge of possession of a gun with altered serial numbers was dropped). Outside his neighbourhood, he tried to project a tough image. Coworkers at National Electric Gate, where he worked for brief spurts in ’88 and early ’89, nicknamed him “Rough as Hell”. One Savannah Evening Press story from August ’89, citing an unknown source, claimed Davis was involved in a high-speed police chase just two months before the murder of Mark MacPhail. Nothing else in Davis’s background hints at a violent nature. On the contrary, neighbours noted that he was the “man in the family”, helping Virginia Davis care for his three younger siblings after his dad left and his older sister Tina joined the Army. When his sister Kimberly became confined to a wheelchair with multiple sclerosis, he quit high school to drive her to and from therapy and doctor appointments, and earned a GED at the same time. According to Tina, Troy took exquisite care of Kimberly: He catheterized her, bathed her and did her hair, even encouraged her to walk by hanging on to her wheelchair. He also became a big brother to kids in the neighborhood, fixing their bikes and setting up a basketball hoop for them. He was neither bright nor ambitious (one teacher called him a “dumb kid and a worse student”). He rarely showed up for his shifts at National Electric Gate. His boss said he was a good worker when he did bother to show up, though, and Davis struck him as a kid who “wanted to stay out of trouble and get somewhere.” He was reportedly planning to join the Marines at the time of Mark MacPhail’s murder. Cooper was treated and released. Coles told police, and later testified on cross-examination, that he was in possession of a .38 pistol on the night of the shootings. At first he claimed he had given it to Jeffrey Sapp while he was playing pool. (1, 26) Later he said he gave it to another Jeffrey, Jeffrey Sams (which Sams denied). (1, 50) Darrell Collins testified at trial that Coles placed the gun on the front seat of Ellison’s vehicle while they were at the pool hall, and he (Collins) hid it in some shrubbery. Whomever supposedly took care of this gun for Coles, the weapon was never found. Throughout the night, Coles was allegedly wearing a yellow T-shirt with a record store logo on it. This has led some people to break the case down to a “white shirt vs. yellow shirt” affair. Tonya Johnson (see “The Shooting of Michael Cooper”, below) appears to be the only trial witness who testified that Coles was wearing a white shirt that night. The yellow shirt wasn’t introduced as evidence. There was another shooting in Cloverdale about an hour later. Sherman Coleman, 17, was shot in the leg from a passing vehicle in front of a house on Wilder Drive. It is believed this vehicle contained Mark Wilds, Joseph Blige, Benjamin Gordon, and Lamar Brown. By this time, Troy Davis, Darrell Collins, and Sylvester Coles were at a pool hall called Charlie Brown’s on Oglethorpe Avenue. Davis and Collins had been driven there by Eric Ellison shortly after the Cooper shooting (Davis had been leaving the area on foot when Ellison once again picked him up in his vehicle). Sometime before 1:00 AM, Red Coles noticed a homeless man (Larry Young) walking from the nearby convenience store with a container of beer, and decided to harass him. He, Davis and Collins followed Young to the parking lot of the Burger King attached to a bus station, on the corner of Oglethorpe Avenue and Fahm Street. You can view the scene on Google maps; the parking lot, the bus station with adjoining restaurant, and the Thunderbird Inn across the street are still in place. It was at this point, around 1:00 AM, that the Burger King security guard intervened. Mark MacPhail, 27, was an off-duty police officer. A father of two, he had served six years as an Army Ranger before becoming a patrolman. He was armed with a nightstick and a pistol for his job as a security guard. No evidence suggests that he drew his gun at any time during the altercation (it was still snapped into its holster when his body was found), but witnesses indicate he was brandishing his nightstick when he approached the men in the parking lot. MacPhail was shot twice, from the front. One bullet entered the left side of his face and exited the back of his neck. The other passed through the left armhole of his bulletproof vest, entering his chest. It pierced a lung and the aorta, lodging between the third and fourth vertebrae. Blood loss from the chest wound was fatal. It’s possible that a third bullet grazed his leg. Minutes later, Savannah police officer David Owens found Mark MacPhail lying facedown in the parking lot. At least 12 people witnessed these events, including the vanful of soldiers, but I include in this list only those eyewitnesses who testified at Troy Davis’s 1991 murder trial. We’ll deal with the witnesses who didn’t testify later. Troy Davis himself is excluded from the eyewitness list. It should be noted, though, that he did not implicate Sylvester Coles. Rather, he claimed he didn’t see the shooting of MacPhail. I exclude Larry Young and D.D. Collins as eyewitnesses (even though they implicated Davis in their testimony) because they also claimed they did not witness the shooting of MacPhail. After MacPhail came to his rescue, Young went to the drive-through window. His back was turned when the first shot was fired. He entered the bus depot and went to the washroom to clean up before the second shot was fired. At trial, he implicated Davis by testifying that his assailant wore a white shirt. In a 2002 affidavit, Young stated he was drunk that night and the attack was a blur. He didn’t know who assaulted him or what anyone was wearing. This leaves seven eyewitnesses. Four of them have retracted their trial testimony. Sylvester “Red” Coles is the only other viable suspect in the death of Mark MacPhail. As previously noted, the .38 pistol he admittedly possessed on the night of the shooting has never been found. Why was Coles not a strong suspect? Because, as explained in the “What Happened After the Murder” section below, he was the first to go to the police and finger the other guy, Troy Davis. He has not retracted his testimony. Joseph Washington, like Darrell Collins, was 16 years old at the time of the murder. He was the only eyewitness who actually knew Davis and Coles. What he stated in an affidavit: Washington has not retracted his testimony, but he did try to add to it. In 1996, he signed an affidavit stating that no one had ever asked him to describe what Coles was wearing when he shot Mark MacPhail. According to Washington, Coles was the one wearing a white Batman T-shirt. What she said at trial: At around 1:00 AM, as she descended a flight of stairs at the motel, she heard screaming from the Burger King parking lot. She ran to the sidewalk to see what was happening. One man (Young) was injured, and three men were standing in the Burger King parking lot. One of them (Collins) ran away, toward the Trust Company Bank. A “police officer” entered the parking lot. As he approached the two men, the one who was wearing a yellow T-shirt moved backwards, away from the officer. The third man, wearing a white T-shirt and dark shorts, then shot the officer. After the officer fell to the ground, the gunman stepped forward, stood over him, and fired again three times. What he said at trial: He said the shooter wore a white or yellow T-shirt and was not wearing a hat. (1, 52-53) Williams pointed out Davis in the courtroom as the shooter. What he stated in an affidavit: He stated he did not know who shot MacPhail and did not see anything because his car was facing in the opposite direction and the windows were too tinted. Of his courtroom identification of Davis as the shooter, he stated, “I felt pressured to point at him because he was the one who was sitting in the courtroom. I have no idea what the person who shot the officer looks like.” (5, 32) In other words, he is now 0% certain he can identify the gunman. Stephen Sanders, a USAF officer, was in the Burger King drive-through lane with seven other military officers who were attending a training exercise in Savannah, seated in the front passenger’s seat of the van. He told police he could recall only one detail of the gunman’s appearance: He was wearing a white shirt. He admitted he would not be able to recognize anyone at the scene except by their clothing. (1, 15) Needless to say, he could not pick Davis’s picture out of a photo lineup. At this time, he has made no statements regarding his trial testimony. The actions of Troy Davis and Sylvester Coles in the aftermath of the murder determined which one of them would become the prime suspect. Both fled the scene. Coles went to the nearby home of his sister, Valerie Gordon, at 634 Yamacraw and changed his shirt. Coles and his sister later told police a rather bizarre story: Troy Davis showed up at his Gordon’s house about half an hour after the murder, shirtless, and asked Coles if he could wear Coles’s yellow T-shirt. Unless there was blood on Davis’s shirt, this doesn’t make a great deal of sense. If Davis did shoot Michael Cooper earlier in the night and feared that his white shirt would tie him to both shootings, why would he swap shirts with the other suspect in one of those shootings? That wouldn’t make him any safer on his walk home, would it? At any rate, Davis changed his mind about the shirt. He took it off and left it in the Gordon house, according to Valerie. It was not seized as evidence. Both young men had some time to think about what they would tell the police. Not that the police were looking for them. They had no suspects. Coles did the smart thing. He lawyered up, went to the police on the night of August 19, and accused Davis of being the killer. He admitted only to harassing and verbally threatening Larry Young; it was Troy, he said, who bashed Young on the head with his gun and shot MacPhail. Davis did the stupidest thing possible. On the evening of August 19, he had his sister drive him to Atlanta. His family claimed this was for his own safety, as area drug dealers had reportedly become very annoyed about the police presence in his neighborhood, but of course it’s true, too, that Troy Davis simply didn’t want to talk to the police. If he talked to them, he faced three grim choices: Confess to murder, accuse his friend Coles of murder, or clam up and hope for the best. The Davis family pastor persuaded Troy to return to Savannah on August 23 and turn himself in to the police. As we know, he basically clammed up, insisting he didn’t see the shooting. He saw Coles bash Larry Young on the head, and nothing more. His murder trial began almost exactly two years later, in August 1991. The state’s case was that Davis shot Michael Cooper, fled the scene, and later shot Mark MacPhail because he thought MacPhail was going to arrest him for shooting Cooper. Amnesty International and many other sources state that 7 of the 9 key witnesses against Troy Davis have recanted, without specifying who these key witnesses are. They are the six eyewitnesses who testified for the prosecution (Joseph Washington testified for the defense), Larry Young, Darrell Collins, and three men who testified that Troy Davis confessed to them. It must be noted that one of these three “confession” witnesses did not testify at the murder trial, only at Davis’s pre-trial hearing. No one else claims that Davis confessed directly to them. Nine people now claim that Sylvester Coles confessed to them (see “People Who Came Foward Long After the Fact to Implicate Red Coles”, below). Those who are convinced of Davis’s guilt, like Ann Coulter, have tried to downplay the recantations by pointing out that the prosecution called 34 witnesses, not just 9. These are absurd statements, because (as in most trials) many of the witnesses were put on the stand to establish facts of the case, not to present evidence of the defendant’s guilt or innocence. The first officer on the scene was called to testify about finding MacPhail’s body to establish that he was fatally injured in the parking lot, the medical examiner was questioned about MacPhail’s autopsy to establish cause of death, etc. These people have not recanted their testimony. It’s not the number of trial witnesses, but the quantity and quality of the evidence, that points to innocence or guilt. At Davis’s murder trial, the prosecution contended that Troy was the only viable suspect in this case, because the ballistics evidence (see below) indicated that Michael Cooper and Mark MacPhail were shot with the same gun. And Sylvester Coles, they argued, wasn’t even at the Cloverdale party that evening. Tonya Davis testified for the defense that Coles was at her party, and in 2007 she signed an affidavit stating that she witnessed Coles hiding two weapons just after MacPhail was gunned down (see “Witnesses Who Came Forward Long After the Fact to Implicate Sylvester Coles”). Kevin McQueen testified that Troy Davis confessed to shooting into the car, but later retracted his trial testimony. Now we come to Benjamin Gordon. Gordon is a highly problematic witness, because his story has changed and changed again in bizarre ways over the years. Nineteen years later, at Davis’s June 2010 evidentiary hearing, he suddenly declared that Sylvester Coles was the party shooter, and that he had been an eyewitness to the shooting of Mark MacPhail (more on this in the section “People Who Came Forward Long After the Fact to Implicate Red Coles”). So ballistics evidence tied the shooting of Michael Cooper to the shooting of Mark MacPhail. But aside from the dodgy eyewitness testimony, where is the evidence tying a gun – any gun – to Troy Davis? Quite simply, there isn’t any. We don’t know if Davis possessed a gun in August ’89. When he was charged with carrying a concealed weapon in 1988, that gun was confiscated and not returned to him. We do know that Sylvester Coles owned a .38 pistol and was carrying it on August 18, 1989. In 2003, at the request of Davis’s attorneys, Parian’s findings were examined by retired GBI ballistics expert Kelly Fite. Fite referred to Parian’s analyses as “shoddy and questionable at best and patently wrong at worst” and “wholly lacking in reliability”. But Fite’s reasons for reaching this conclusion are unknown, as his report has not been made readily available. The only other physical evidence in the case was a pair of shorts Troy Davis may have been wearing, seized from his mother’s house. They were spattered with a dark substance that could have been blood (by the time DNA testing became available, the substance was too decayed for analysis). But these shorts were not submitted as evidence at trial. Judge James W. Head barred them, ruling that Virginia Davis had not assented to a search of her home. The shorts would pop up later, however. The blood evidence is discussed in a section below, “The Appeals”. Sylvester Coles’s clothing was not seized. Two men were with Harriet Murray in the parking lot just before MacPhail arrived. They reportedly left the scene during Coles’s attack on Young, and they remain unidentified. In his first appeal, Davis’s attorneys predictably cited ineffective counsel and prejudicial pretrial publicity, but also tried to argue that Savannah (population over 137,000 at the time) was prone to “small town syndrome” and that the prosecution had dismissed too many black jurors – even though the jury that decided the case contained 7 black people. Later appeals were more sophisticated, but some were marred by ridiculous statements from unreliable “witnesses” (see the section below this one). Troy Davis’s appeals process spanned nearly 20 years, so I can’t even begin to detail it here (the Atlanta Journal Constitution has posted a helpful timeline, if you want to familiarize yourself with the basics). I’ll focus on the 2010 evidentiary hearing, because this was the ultimate – and final – opportunity for Davis’s attorneys to bring forth new evidence and secure a new trial. On June 23 – 25, 2010, U.S. District Court Judge William T. Moore, Jr. heard the new evidence collected by Davis’s team, including recantations and the contents of a 2008 report on the “blood evidence”. The matter of Troy Davis’s “bloody shorts” is still confusing to commenators on the Davis case. A Redstate.com writer, Erick Erickson, recently had to ammend his statement that Mark MacPhail’s blood was found on the shorts Davis was wearing on August 18 – 19, because it simply isn’t true. First of all, we don’t know if the shorts seized by the police were actually the same pair worn by Davis on the night of the murder. No one identified them as such. They were taken from the washing machine in Virginia Davis’s home. Secondly, we don’t know if the substance on the shorts was blood. The state submitted to the evidentiary hearing a 2008 Georgia Bureau of Investigation (GBI) report concluding that the substance on the shorts was blood. They also submitted a report of DNA typing of the item, according to a Savannah Morning News story. Davis’s attorneys tried to block the GBI report, as they possessed their own report by DNA and serology expert Dr. Charlotte Word. Word had reviewed the GBI report and made two conclusions: Human DNA was present on the shorts and “it is not possible to conclude or determine . . . that blood was present on the shorts”. Many sources (including the Savannah Morning News) didn’t mention Word’s report, but both analyses were submitted at the evidentiary hearing. Judge Moore heard recantations from Dorothy Ferrell, Antoine Williams, Kevin McQueen, and Jeffrey Sapp. Moore also heard testimony from Darrell Collins, who repeated his allegations that police had pressured him into naming his friend Troy as the gunman. Anthony Hargrove, a career criminal, came forward in 2000 to inform Troy Davis that Red Coles had confessed to him around 1990. But Gordon destroyed whatever was left of his marginal credibility at the evidentiary hearing, when he suddenly declared that he had been an eyewitness to the shooting of Mark MacPhail. He couldn’t adequately explain why he supposedly withheld this information for nearly 20 years. He had overcome his reluctance to implicate a relative-by-marriage in the Cooper shooting two years earlier, so why didn’t he mention MacPhail at that time, too? We’re dealing with pure manure, here. Did New Evidence Warrant a New Trial? Let’s face it: Most of the eyewitness testimony was poor in the first place. Steven Sanders inexplicably went from saying “the shooter wore a light shirt, that’s all I know” to “that’s the guy right there, sitting at the defense table.” Joseph Washington never adequately explained why he was standing in a warehouse lot across the street, rather than with his friends in the parking lot. Larry Young visually identified both suspects as the person who cracked him over the head, and now says he was too drunk to identify anyone. You would be hard pressed to find less reliable witnesses than these. Nonetheless, there is no objective reason to reject the recantations offered in the sworn affidavits (which excludes Harriet Murray’s, of course). There is no evidence that any of these people were badgered, coerced, or bribed into recanting their testimony. We have to accept the fact that of the six eyewitnesses who implicated Troy Davis, four of them would not give the same testimony today. Of the two “confession” witnesses, 0 would give the same testimony today. Judge Moore’s decision that the recantations were not convincing seems to have been a subjective one. For evidence to legally qualify as “new”, it has to consist of things that didn’t come out at trial and were not available to the defense at the time. In other words, it can’t be just cumulative evidence that adds to evidence already presented. This is the problem with much of the “new” evidence used by Davis’s team during the appeals process. For instance, Tonya Johnson’s affidavit was rejected as new evidence because she had been a defense witness at the murder trial; therefore, Davis’s counsel knew of her, and could conceivably have obtained the additional information from her years earlier, with “due diligence”. Davis’s attorneys expended a great deal of effort trying to convince judges that their evidence couldn’t possibly have been uncovered at the time of trial. Examples of this are the affidavit signed by Benjamin Gordon in 2008 and the “eyewitness testimony” of Gary Hargrove, both of which were deemed as cumulative of trial testimony. In Hargrove’s case, Judge Moore determined that what he allegedly saw (Sylvester Coles shooting MacPhail) wasn’t any different from what defense witness Joseph Washington saw (Sylvester Coles shooting MacPhail). Davis’s attorneys argued that the testimony of these two men was very different, Hargrove supposedly having a much better vantage point – he was in the parking lot, while Washington was across the street behind some trees. This argument failed. A judge ruled that this was simply more evidence that Coles could have been the gunman, not new evidence. The conditions for a new trial in the Davis case were clearly laid out in a 2008 ruling by the Supreme Court of Georgia. In the eyes of the law, they were not met. In my opinion, though, Davis should have received a new trial, and I believe he would have been acquitted. Not because he was necessarily innocent, but because the key witnesses who got him convicted in the first place wouldn’t have done so a second time, because the physical evidence doesn’t point to anyone, and because numerous new witnesses could have presented evidence that Sylvester Coles admitted to the murder of Mark MacPhail. Do I believe all these new witnesses, all these recantations? No. Yet despite the fact that I don’t buy all the trial testimony, either (particularly Sanders’s miraculous feat of identifying a man he barely saw in the first place), I feel that Davis was properly convicted with the evidence available at that time. 6. 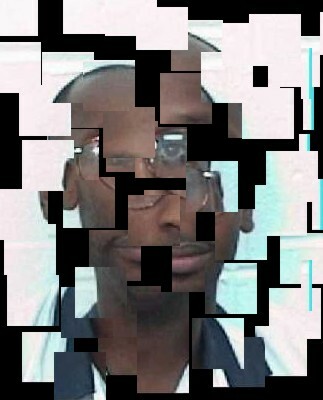 “#TooMuchDoubt: The Story of Troy Davis” by “SwedishJewfish” @ Daily Kos.com, posted September 19/11. This entry was posted in Controversies and tagged crime, justice. Bookmark the permalink. I feel that both should of been put on trial. The witnesses all don't make no sense to me. Sly' red Coles was quick to go to his sister's home and change and then head to the police station and implicate his friend, when they was not even on the radar. Davis's defence failed by no recalling Coles in Troy Davis's appeal attempts. My personal thoughts is I believe the real killer is out there althought when Troy went to Atlana after the crime it made him look guilty. Troy deserved a re-trial and everyone deserves the truth.